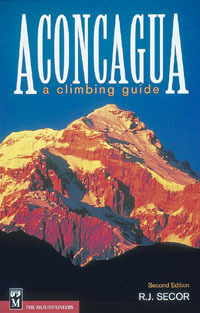 Aconcagua - A Climbing Guide is an essential book for all those wanting to understand the many unique challenges of the highest peak in the Western Hemisphere. Detailing the normal walking route up the Northwest Ridge, the South Face which is defended by bands of loose rock and ice cliffs as well as the more easily accessible route between Mendoza and Santiago, this guide is vital for any aspiring climber. It includes 27 routes, ranging from the most popular to the road less traveled, covering the three main approaches through the Horcones Valley, South Face, and Vacas and Relinchos Valleys. Information on equipment, permits, seasons, weather and high-altitude health adds to the comprehensive nature of the guide. Spanish mountaineering phrases are also given for expert climbers.